This is what I dreamed of when I was 13, playing rock guitar and publishing albums, Rock and Roll, baby. I wanted initially to call this album "Guitar 1", but that would be almost blasphemy - you guitarists know why, eh? So the next idea was "Guitar Hero". A good name, but very pretentious, I am anything but a hero... Also, there's that computer game by that name... 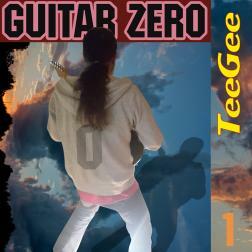 So I ended up with Guitar Zero, that feels much more comfortable to me. About this selection of tracks: I had a LOT of trouble choosing songs, what order, it tormented me for a while now. So in the end I asked Incivanpico to do the selection, and he did a great job choosing. It features a few different styles and types of music, and the thread of my guitar is what connects them. I am VERY happy to have been able to collaborate with all those great musicians and wonderful people from Wikiloops. Thank you so much! Tasteful phrasing and tone abound throughout every track. Everything I hear TeeGee play is class and summons the likes Jeff Beck, Jimi Hendrix, Carlos Santana, John McLaughlin...... I could go on and on. If you love good guitar playing, you will dig this album for sure! Many thanks TG for being included in this cool album. TG Strat plays many different types of music - rock, hip hop, R&B, etc. but his guitar style always comes through. His sound is very distinctive. He is also a very good producer - his remixes always sound better than the originals!